(CBS News) Decades ago, researchers would examine LSD's effects on various health conditions including pain, anxiety, and alcoholism. A new study suggests it might be time to revisit the mind-altering drug's therapeutic uses. The study found lysergic acid diethylamide, also known as acid, could help serious alcoholics sober up. Housewife on Acid: 1950's Video Shows LSD's Groovy EffectsMagic mushrooms may help treat depression: How? "Given the evidence for a beneficial effect of LSD on alcoholism, it is puzzling why this treatment approach has been largely overlooked," study author Pal-Orjan Johansen, a neuroscientist at the Norwegian University of Science and Technology, said in a written statement. For the study, Norwegian researchers reviewed six different LSD studies that were conducted in the U.S. between 1966 and 1970, that examined the effects of LSD on 536 alcoholics. Some patients received a single dose of LSD, while patients who served as controls received a low dose of LSD, a stimulant drug, or nothing at all. Researchers found nearly 60 percent of patients showed a clear improvement compared with 38 percent of the control group, and were less likely to relapse on alcohol. Many of the alcoholics who took LSD also reported a "greater self-acceptance and openeness," and said they gained a new appreciation for their alcohol problem and new motivation to address it. The improvement was most evident during the first few months of treatment but gradually waned as months went on. 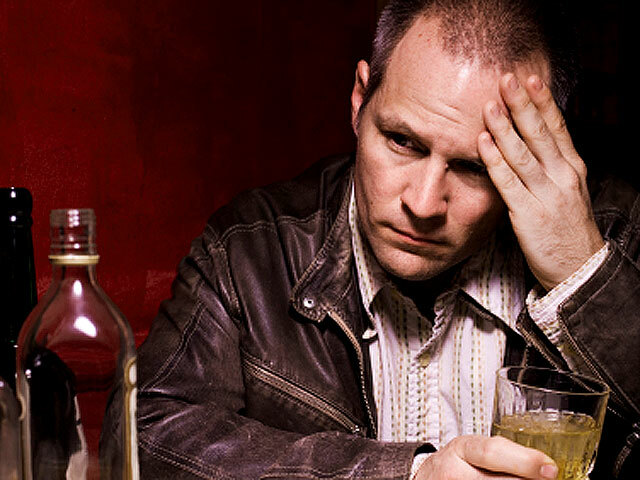 The researchers say since alcoholism is a chronic, relapsing disorder, ongoing LSD treatment might be beneficial. The study is published in the March 8 issue of the Journal of Psychopharmacology. "LSD may stimulate the formation of new connections and patterns, and generally seems to open an individual to an awareness of new perspectives and opportunities for action," the researchers said in a university statement. "We do not yet fully know why LSD works this way." Dr. Richard Ries, an addiction psychiatrist at the University of Washington Department of Psychiatry warned that little is known about LSD's side effects, but using one drug to fight addiction to another is nothing new. "Look at heroin addiction - we use methadone, another type of opiate, and give it to people to prevent them from overdosing," Ries told MyHealthNewsDaily. According to the National Institute on Drug Abuse, LSD's effects of distorting reality and causing hallucinations can be frightening and cause panic, with "trips" lasting up to 12 hours.